As a member of the “Server Room in a Box” family of Xeon® D-based small form factor products, the S2002-MD “Golden-Eyes II” is an ultra-rugged, small, lightweight multi-domain server system with up to 16 CPU cores and removable drives. It is designed to provide two fully-independent and isolated high-performance servers in one box while providing the highest level of workstation performance possible in a fully ruggedized, conduction-cooled, sealed system, operating from -40° C to +75° C (wider temperature range optional). Even the power supplies are separately isolated. This system architecture simplifies deployable MIL-SPEC technology by Multiple Independent Levels of Security (MILS), Red/Black network separation, or redundancy, while integrating processing, storage and high-speed I/O in a small, ultra-rugged enclosure with the greatest possible performance per dollar and per watt. The SB2002-MD multi-domain Golden-Eyes II is two complete 16-core Xeon D server sub-systems packaged together but electrically isolated, including their separate power supplies. Golden-Eyes II is intended for commercial, industrial, military, defense and aerospace Red/Black networks—such as found on platforms with SIPR/NIPR networks. 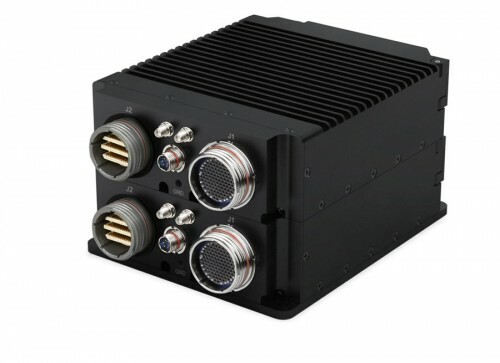 With the onboard 1 and 10 Gigabit Ethernet ports, Golden-Eyes II is an ideal forwardly-deployed vehicle-mounted battlefield dual-server that offers double performance or redundancy. Alternatively, the S2002-MD is an ideal airborne network multi-domain server that can also drive operator consoles, such as in an ELINT platform, while recording data and distributing it to multiple Ethernet LANs. Golden-Eyes II can also be used in industrial and commercial platforms since it has server-class performance, exceptional I/O capabilities and removable storage. This system may also be ordered from the factory with operating systems such as Windows® or Linux® pre-installed.